How to Quote Effectively. 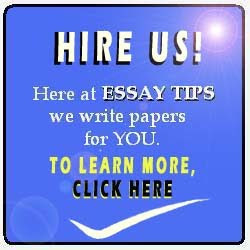 In writing an essay, you are oftentimes required to provide supporting statements. The ways may vary, but the ultimate point is to find a source material that will help prove your claim. Quotes are one of the methods in doing this. Knowing how to quote effectively can add more substance to your argument, allowing you to state your claim clearly and to reinforce it with backing statements that are credible. Let's take a closer analysis on how to quote effectivey. As a rule of thumb, quoting a passage from a book or an article requires the use of quotation marks. Always place the quoted text inside the quotation marks such as this: "College education in America is one of the most expensive investments people make" (Essay Tips 1). Also note that the period must come after the in-text citation. The type of in-text citation used will depend on the format required. In the example we have given, the format is in MLA, which requires the name of the author and the page number. Observe that there is no comma between them. Meanwhile, the APA format uses the author-year or author-year-page number format. Thus, "this an example of a quote in APA format" (Essay Tips, 2017, p. 1). In the sample, the use of comma is required. How to quote effectively also demands that you know when to insert a quote in your essay. Do not simply lift a passage from a source and put it in your paper. Rather, your aim in quoting should be to support your statement. For example, if you have written that it is difficult for the average person to afford higher education, then the quote that should follow it should be relevant to what you have just said, such as a quote from a book that provides statistics about the costs of college education, or a quote from a journal article that compares average individual or household income with expenses for higher education. In a published article, Essay Tips (2017) writes that "knowing how to quote is an indispensable skill in writing convincing essays" (p. 1). 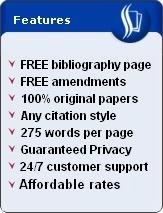 The example quote above is in the APA format. The preceding text before the quotation marks is the signal phrase. What it does is to introduce the incoming passage as a line of text taken from a particular source. In other words, it gives the signal to your reader that you are about to echo the thoughts of another author. It is basically your way of saying that someone who is an authority agrees with your claim. Do you have other questions? You may reach us via email. Contact us. Or check the links in the header at the top of our website. We have more to offer than teaching you how to quote effectively.